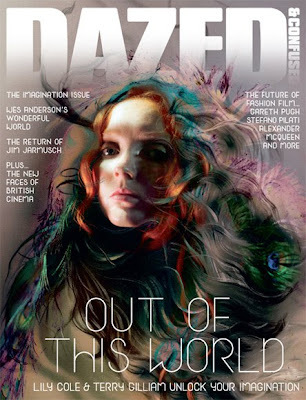 Lily Cole is the cover page star of Dazed & Confused. The interesting issue is entitled Out of this World and it's dedicated to imagination. The inside pages reveal all about Lily's film project in collaboration with Terry Gilliam.